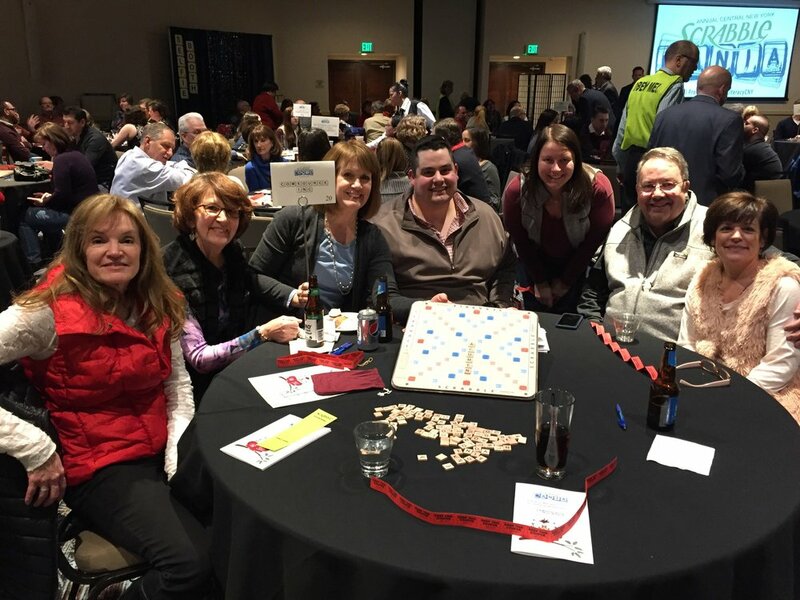 This year’s annual ScrabbleMania tournament was held at the Marriott Syracuse Downtown, with over 30 teams competing to benefit our friends at LiteracyCNY. At the SCRABBLEMania Tournament, teams of 8-10 players compete against each other to build the highest possible scoring SCRABBLE board in 20-minute rounds of play, using all the tiles at once. The event included refreshments, raffle prizes, a wine pull, and live entertainment from internationally acclaimed jazz musician and six-time SAMMY award winner Ronnie Leigh, and 93Q’s Ted and Amy returned as celebrity emcees. The Catholic Charities Men's Shelter, formally The Oxford Inn, is located in downtown Syracuse NY. This location serves as an overnight place to crash with beds, bathrooms, showers, snacks and a place to do laundry. ComSource brought Luigi's baked ziti, meatballs, sausage, salad, bread and refreshments for the gentleman dining in the shelter that night. Program director, Mike Sullivan, has assisted in coordinating the volunteer event for ComSource. 2019 would be the fifth consecutive year that ComSource has participated in helping this particular shelter. This past Saturday, ComSource participated in a volunteer opportunity at Syracuse University called 'Hoopin' It at the Dome.' Prior to and during half time, attendees can pay 5 dollars for 4 shots, and if they made two out of 4 shots they got a free Syracuse T-shirt. The ComSource team had a lot of fun on the back court at the Clemson/Syracuse game passing out balls and rebounding shots from all the participants.